When people ask me how I come up with ideas to write a daily blog year ’round…I reply that it only takes one quote or saying that I hear on television, or in a conversation, or perhaps even read in a book that stirs my imagination….and I am off and running. This is what happened yesterday. As you know I am trying to “weather” out this viral bronchitis/laryngitis by not talking and doing a lot of reading. So I decided to catch up on some of the books friends gave me at Christmas. 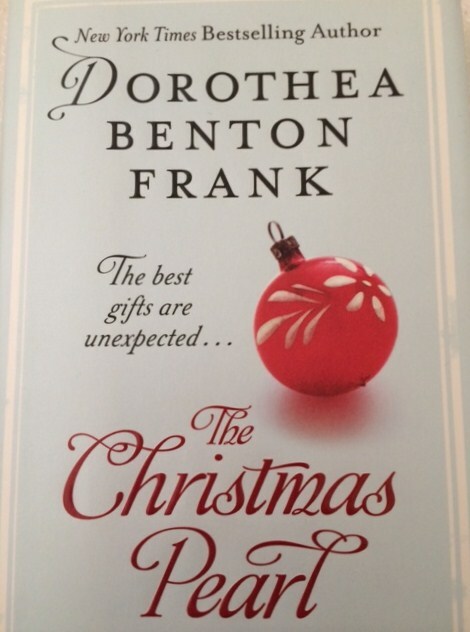 When Toni handed me the book (The Christmas Pearl) last week…she told me that she was sure I would enjoy it…it covered southern Christmases in Charleston from the 1920’s up to the present, including lots of old Charleston recipes, and best of all…it had powerful life lessons in it for all of us. Without being a “spoiler alert”… the title of the book is somewhat misleading…purposefully. When I saw the title I “assumed” it had something to do with a special piece of jewelry…perhaps passed down from generation to generation and the story would center around the different people who wore it. Wrong! It does has to do with a “jewel”…. but that “jewel” falls into the human category. Nope…that isn’t even right…Pearl once was human but she has been dead for several decades as the story opens….returning as one of the most loveable “ghosts” you would ever want to meet. Pearl had once been the Gullah housekeeper, confidante of all the matriarchs in the family, and mother to all the children growing up in the old ancestral home in downtown Charleston. She was the anchor for all the family’s trials and tribulations for many years leading up to her death. 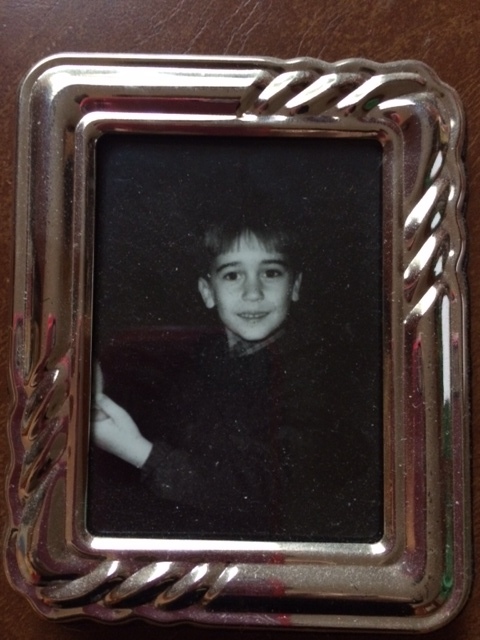 Two generations later…the house and family are both falling apart…. Pearl is sent back down to earth to fix it for a special family Christmas gathering. All the funny and poignant antics that provide the “cure” for Christmas and this family’s problems keep the reader quite entertained. Give yourself a couple of hours…and you will finish this reading easily…chuckling to yourself along the way. It is near the end of the story…that the life lesson that most touched me appeared. Isn’t that a powerful statement? I remember hearing someone once state that none of us are really gone or “dead” on earth until the last one who remembers us has departed. How true! As long as we are still in at least one person’s thoughts we are still remembered and alive through them. So until tomorrow…Remind us to take time to remember the loved ones who have gone ahead…and who also have left behind a part of themselves in each of us. * A Big Happy Birthday to my “Baby Boy” Tommy Dingle…now Esquire. Tommy will always remember this birthday for being special because he starts his new job today. 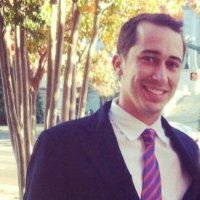 Brooks Styles, Attorney at Law (real estate) has hired Tommy to assist him with closings and other required criteria associated with the job. This is one happy mom! * Yesterday we talked about everyday miracles… well, one could be forming for the blog before this roller coaster year ends. Remember when we had to close Chapel of Hope Stories November 19 (Gettysburg Address Day) and save almost four years of stories in a private folder?….On that fateful day I had been at almost 300,000 views and at 499 (so close to 500) subscribers which I thought solved the mystery of…my license plate: Was the blog the avenue for “aiding” or helping 500 (people)? So close but yet so far. 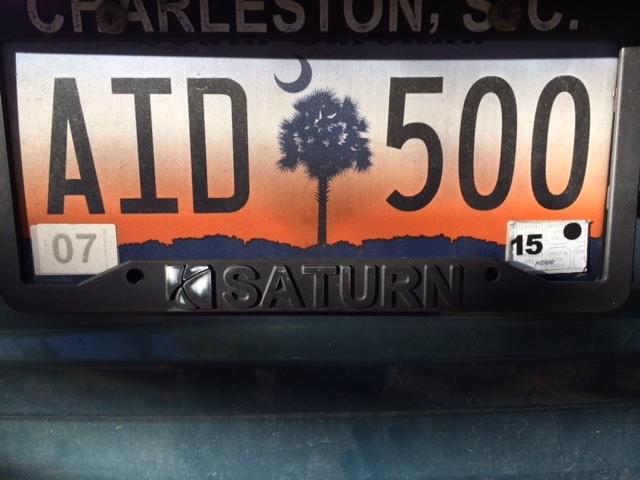 But now since starting over on November 25…just a little over a month ago…I am once again closing in on 500….491. Will 2014’s blog end on a happy note with the 500 becoming reality? We have three days to see if I can pick up nine more subscribers. Stay tuned. 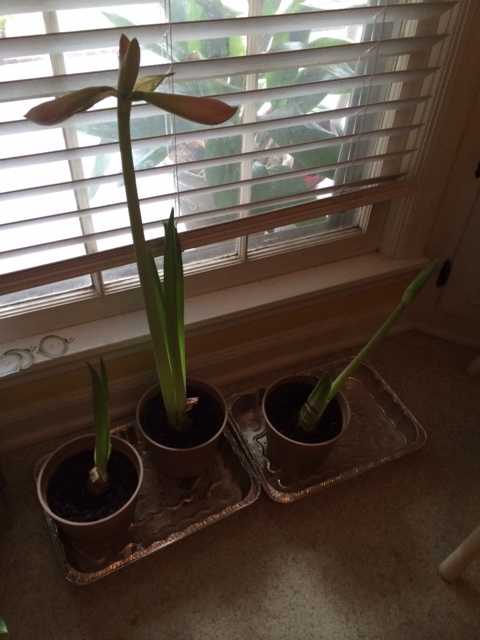 * And talking about being close….Look now at “Middle Amaryllis” …. It has two pink blooms that are just about to pop open….since they didn’t make it for Christmas… I sure hope they will bring in the New Year with all their pink heavenly beauty! We will see! This first picture was taken around 8:00 Sunday evening…. 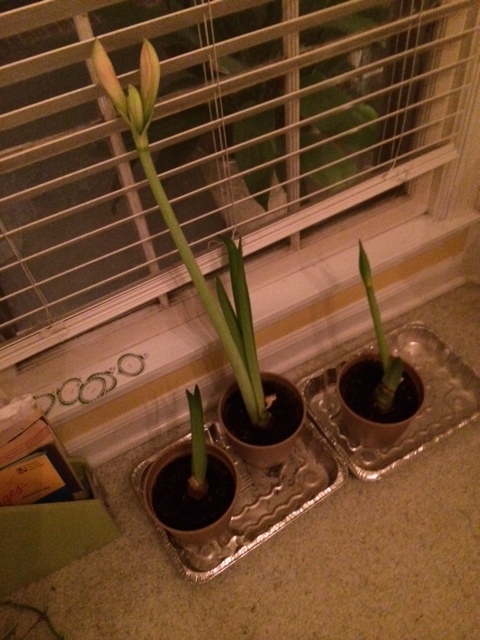 The picture below was taken around 9:00 this (Mon) morning…looks like the buds are pulling away to give them room to bloom…and there are two more smaller buds on top…four blooms in all eventually…this is getting so exciting! And what a coincidence… You too came up with a similar title.. Wow!